This is the one stop shop for all your eye care and contact lenses needs. 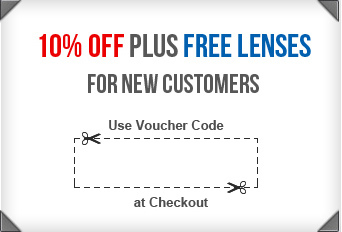 The best thing about Lensite.co.uk is that you can order your contact lenses here at an amazingly low price – as much as 70% below the retail prices. By ordering them online you save a lot of time and hassle. The first and foremost thing you need to do is to keep the exact information about your prescription handy with you for ordering your contact lenses online with us. Please note that you might not be aware of your contact lenses prescription in detail personally and even if you feel that you do, this is not only about the power of your lenses and the brand. It is always imperative to refer to the physical copy of your prescription in detail before ordering your lenses due to additional and necessary details like the diameter, base curve, axis and cylinder (where applicable). You can also get your precription details if you already have a contact lens box and are sure that your prescription parameters are correct. Click here for more information. Select your choice of lens from the Lensite.co.uk product pages. You can visit our online store and order your contact lenses according to taste and prescription. On our products page just select your choice of contact lens. In case you do not find the product of your choice on the list, just call our customer service team on 0330 088 3133 or email us at cs@lensite.co.uk. Alternatively you can use the Livechat option on our website. You will be guided on how to find the right product and place an order. So it’s important for you to realise that our proactive customer service is always available to you to meet your every need and to tackle any queries you may have instantly, to give you a trouble-free and enjoyable shopping experience. We do hope that you will have a great time shopping at Lensite.co.uk.